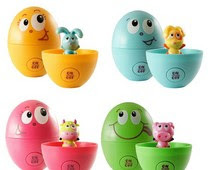 Auditory Easter Hunt with eggs that call, "You Woo- I'm over here." 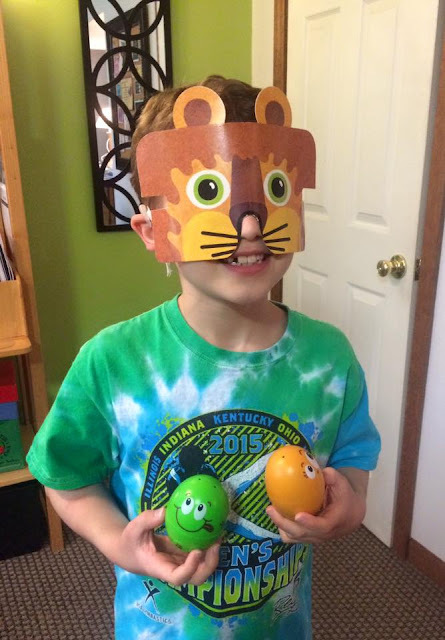 It is so much easier to "look and find" but this Little Listener chose to wear the no-peeking mask. He found all the eggs by localizing and through hearing alone. This is a challenging task for many.